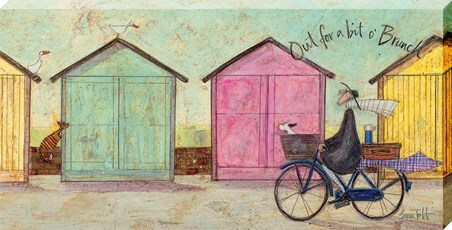 He may be old but that doesn't mean his zest for life has disappeared! 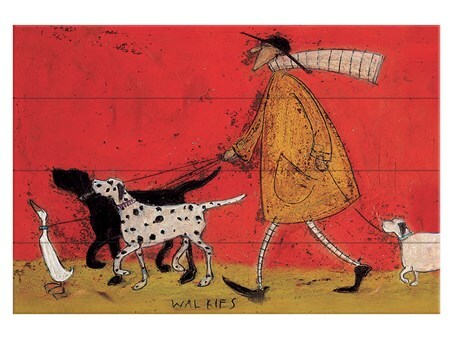 Head out on an adventure with Ernest and canine companion, Doris, as they scoot along, joined by a trio of shiny, red balloons. 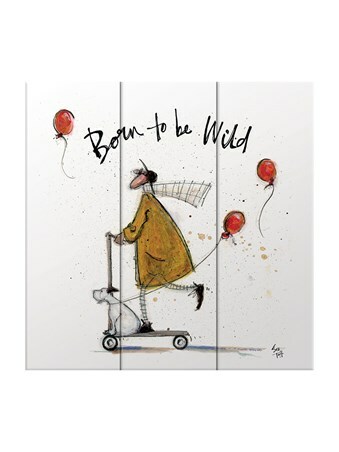 If you have a wild streak just like Sam Toft's beloved characters, then this fabulous wooden wall art is one way to inject a little fun into your home. 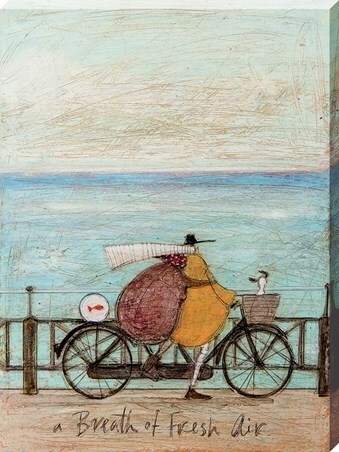 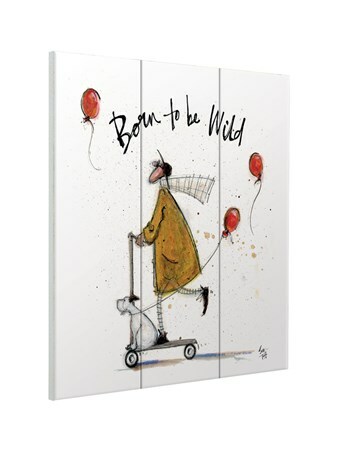 High quality, framed Born to be Wild, Sam Toft wooden wall art with a bespoke frame by our custom framing service. 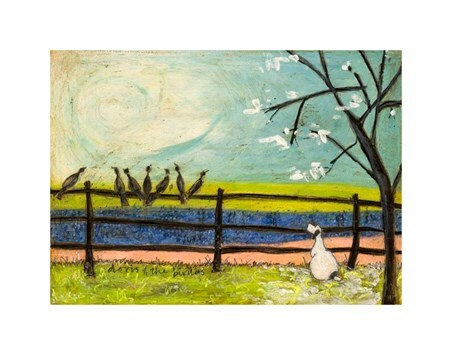 Why Laminate Your Wooden Wall Art?